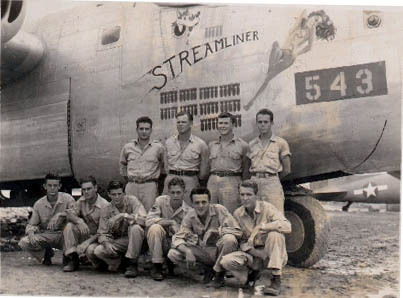 Front Row, L to R: Everet More, Engineer [I replaced him], Chaunchy Willson, Gunner, Thomas Lacina, Radio Operator, Raymond Balile, Tail Gunner, Francis C. Smith Ball Turret, Unknown, could be Phillips. Back Row, L to R: Lt. Gregory, Navigator, Lt. Kenneth Adams, Pilot. Don't remember the next one. Far right is Atkin or Atkinson. The last two in the back row to the right and Phillips? 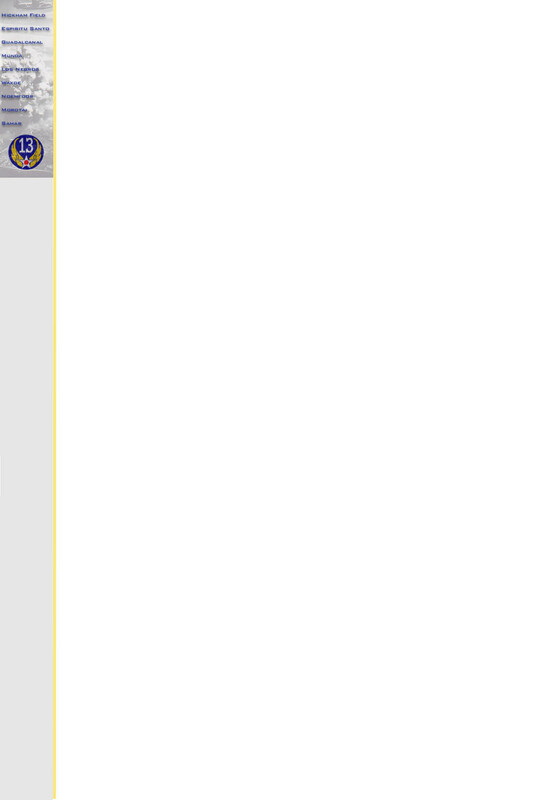 didn't fly with us after the first mission, so I lost track of them. I do know More was killed soon after this picture was taken. 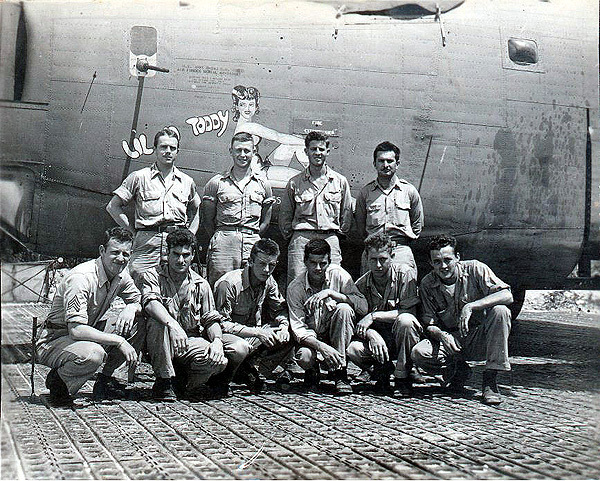 Front Row, L to R: Thomas Lacina, Radio Operator, Chaunchy Wilson, Nose Gunner, Raymond Balile, Tail Gunner, Francis C. Smith, Engineer/Top Turret, Unknown, Unknown.